Oft forgotten by many intellectual property law practitioners and academics (including this writer, sadly), designs are put on the back-burner, and developments are overlooked or rare. With this in mind, a new development quietly emerged from the chambers of the European Court of Justice some time ago, which piqued this writer's interest. When dealing with designs designers have two distinct avenues of protection: registered designs and unregistered designs. Much like in the world of trademarks, registration is the preferred and stronger part of protecting your fashion creations, yet for less affluent or successful designers this might be an avenue beyond their means, or simply a fact of ignorance as to registration. In that event their only remedy is through the protection of unregistered design rights, protected under the Copyright, Designs and Patents Act 1988 in the UK. An important aspect of protectability in unregistered designs is that it has to have 'individual character', i.e. has to be something unique (to put into more common terms). What amounts to individual character then? This is what the ECJ sought to answer. The case that faced this question was Karen Millen Fashions Ltd v Dunnes Stores, decided in the Summer of last year. At issue in the case was a shirt designed by Karen Millen, a designer from the lovely island of Ireland. The shirt in question was a blue striped shirt, sold by Ms. Millen in Ireland since 2005. Dunnes Stores are a chain of stores in the same country, partaking in the sale of women's clothing, much like Ms. Millen. Dunnes Stores had, at some point, designed and begun selling a very similar shirt, to which Ms. Millen clearly objected, taking the store chain to court over design infringement. Dunnes objected (appealing to the Irish Supreme Court), claiming her shirt had no 'individual' character, and therefore could not be afforded protection under the Council Regulation No 6/2002, which protects those designs, given they have both novelty and individual character - leading to a final decision in Europe's highest court. The questions posed to the Court seemed quite simple on the outset: 1. when assessing individual character in an item, should the overall impression (as defined in the Regulation) be based on a single or a combination of similar design features used; and 2. whether the burden of proof designates a need for merely the definition of what amounts to individual character, or that the article in question indeed possesses individual character? 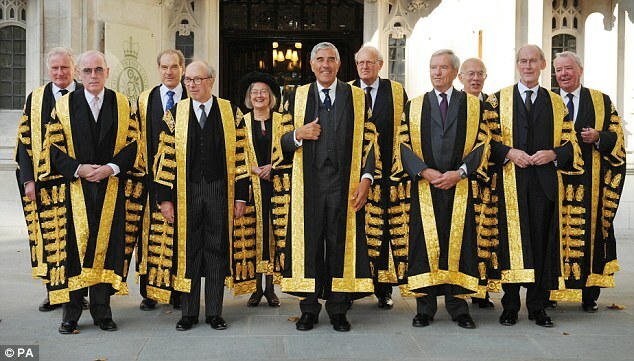 Who ever said judges aren't snappy dressers? In its assessment the Court took on the first question, and after some discussion, saw that "...Article 6 of [the Regulation] must be interpreted as meaning that, in order for a design to be regarded as having individual character, the overall impression which that design produces on the informed user must be different from that produced on such a user by one or more earlier designs taken individually and viewed as a whole, not by an amalgam of various features of earlier designs". What the Court decided was that the overall impression, in assessing individual character, must be decided on whether the article itself produces a unique impression on the individual, given the body of similar designs viewed as a whole (i.e. similar designs, not just a patch-work of all designs), and not as merely a collection of designs. Should the article give the overall impression of uniqueness and true individual character in light of that body of designs, then the article possesses individual character under the Regulation. The second question, was answered almost just as easily. To prevent a designer from bringing an action under the Regulation, without first proving the article's individual character and not simply just identifying the infringed article, would, in the Court's mind, go contrary to the intention of the law. As such, the designer would only have to "...both prov[ide] when his design was first made available to the public and indicate the elements of his design which give it individual character". From a practical perspective this makes sense, and having a designer effectively contest the validity of his or her design prior to proceedings seems nothing short of silly. In the end the case was brief, and quite concise, giving us a peek at the often ignored topic of designs. This writer will fully admit to not being wholly familiar with design law, yet attempts to keep track of happenings and wrap his (non-fashionable) brain around them.